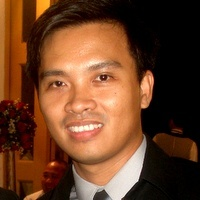 Erick V. Garayblas is a game designer and founder of Kuyi Mobile, a game development company based in Manila. Erick has been developing games for over 12 years and created a number of award-winning and successful titles including Streetfood Tycoon, which has received millions of downloads worldwide. In his guest piece, Erik shares valuable tips for indies on launching an app on a tight budget. This piece was originally published on Gamasutra.com. So you’ve finally finished that Corona SDK-powered game and submitted it to Apple. What to do next? Creating a nice game is only half the battle, what you do after you finish your game is another story. Eight years ago, it was as easy as finishing a game, selling it online and waiting for sales to come in. Now, there’s even more work involved after submitting your game to the App Store. So how do you spread the word about your game? Sad to say, a huge part of a successful launch depends on what you do during the development stage, weeks or months even before you release your game. Below is a list that I used to guide me for the release of Elevator Joe, a game that I built with Corona SDK. It’s the same list I used when launching Streetfood Tycoon, a game that earned me 9M+ downloads across multiple app markets! Setup my own app network. I have nine apps to date, all of which have the ability to “push” news to my players. If this is your first app, be sure you have something within your app that you can use to promote new products easily or simply push news and updates about your games. This will come handy as your catalogue (and user base) grows. Social media. I know, I know. You’ve been too busy developing your game that you didn’t even have time to open up a Twitter account or a Facebook page. This isn’t the 90s. News travels faster than a speeding train nowadays especially on social media, so make it a point to open up your social channels even before you start your development. You’ll be glad you did. The power of blogging. As indie developers, one of our advantages is that we can be more “personal” to our fans and players and one way we can do that is by sharing our experiences through a blog. It doesn’t matter if you post once a week or once a month as long as you engage with your users, get feedback from them and keep them posted about what you’re doing. You’ll be able to grow your fan base by the time you launch your app. Schedule cross-promotions. Believe it or not, there are lots of indie developers out there who are willing to promote your app in exchange for a promotion so immerse yourself within the indie development community (a lot of them are active on Twitter) and connect with them. You will not only get support, but gain friends! App icon, screenshots, keywords and product description. There’s really no guarantee to what works or what doesn’t but be sure you have eye-catching and convincing assets. Experiment with these whenever you push a new update and always measure the results. PRMac. I have tried a lot of online press release services and PRMac by far, has produced the best results for me. At $20, it’s a good deal to have your news posted to as many as 800 sites covering iOS and Mac software news. Nope, I’m not affiliated with them, I’m just a happy customer. Family and friends. Word of mouth is still the best form of marketing so if your friends and family can help you spread the word within their own circles, you will have a good head-start. YouTube. Free isn’t enough anymore to guarantee a download or convince a player to try your app. Some players would prefer see your app in action without even trying it so be sure to have a trailer of your game handy. Include the video in your press release, website and promote it to your social media channels. Review sites. Submit your app to as many review sites as possible. The more reviews you can get, the better visibility you will have. It may take hours of your day it’s but worth it, especially if you can establish connections with the media. Here’s a list of sites that I reach out to: http://maniacdev.com/2012/05/ios-app-review-sites. Schedule contests and promos. Players love rewards and prizes. Arrange small contests either on Twitter or Facebook and reward your avid players. Promos are also a great way to have your fans spread the word about your new game. Share your work. Lastly, don’t forget to share your app with Corona Labs for potentiall more exposure! My first app will be launched 30th november and It helps à lot! Is it better to target the biggest blogs or not? I feel like you missed the single biggest step compared to all the others you listed…..upload the app to android. So many people create apps for one OS and never put the app on the other. Why limit yourself to part of the market when you can have almost all of the market? @Oliver: I would say target small to medium (size based on active userbase) blogs and work your way from there. As most of these blogs feature you, the bigger ones will begin to notice your app as you build buzz. Send out those codes to the media even before launch or come up w/ exclusive review deals from big sites if you can. Best of luck!